1. 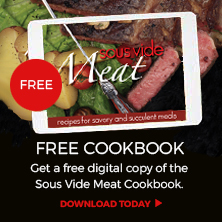 Fill and preheat the SousVide Supreme water oven to 176F/80C. 3. Submerge the pouch in the water oven to cook for 30 to 40 minutes, until bananas are soft and the sugar has melted. 4. Remove and allow to cool slightly. 5. Open pouch and remove the cinnamon sticks and cloves. 6. 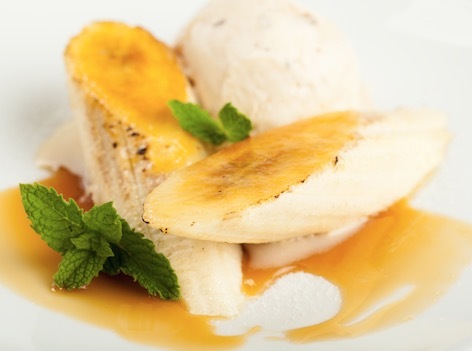 Serve bananas warm in a bowl topped with whipped cream or over vanilla ice cream.